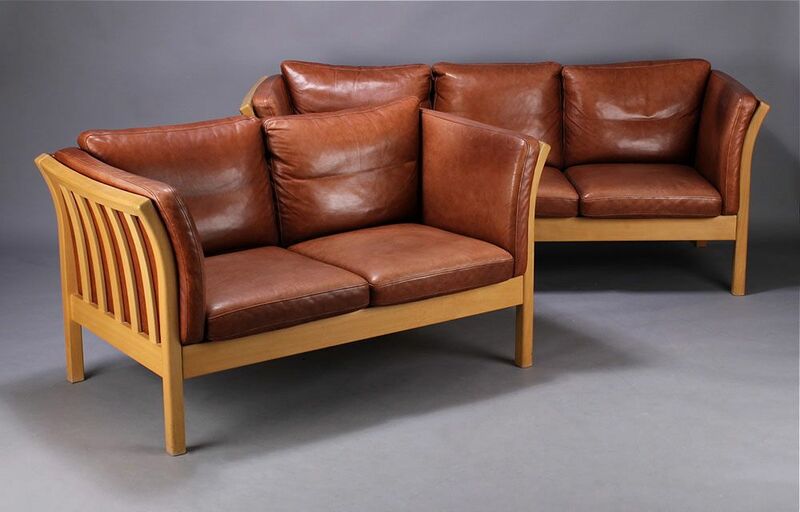 These classic sofas were made in Denmark, probably in the 1980s. 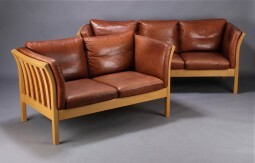 They are based on the designs of Borge Mogensen from the 1950s. 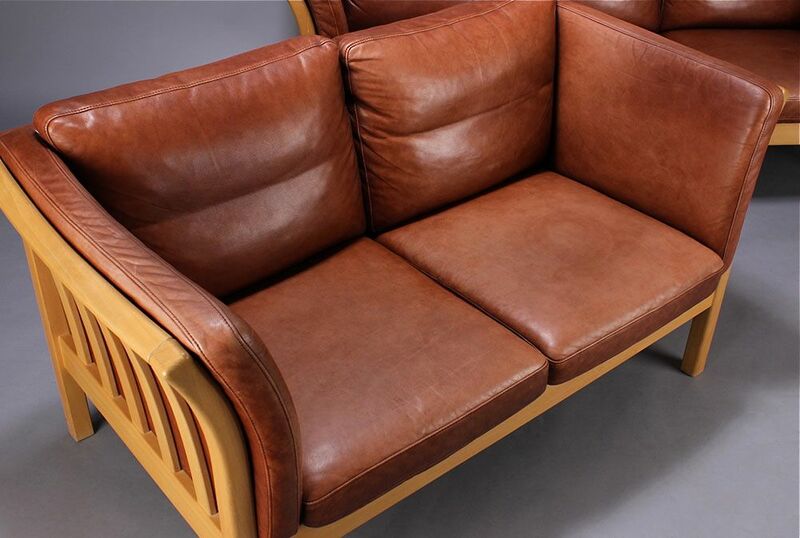 The leather is a rich tan colour that has developed a wonderful patination where it has been used and worn. 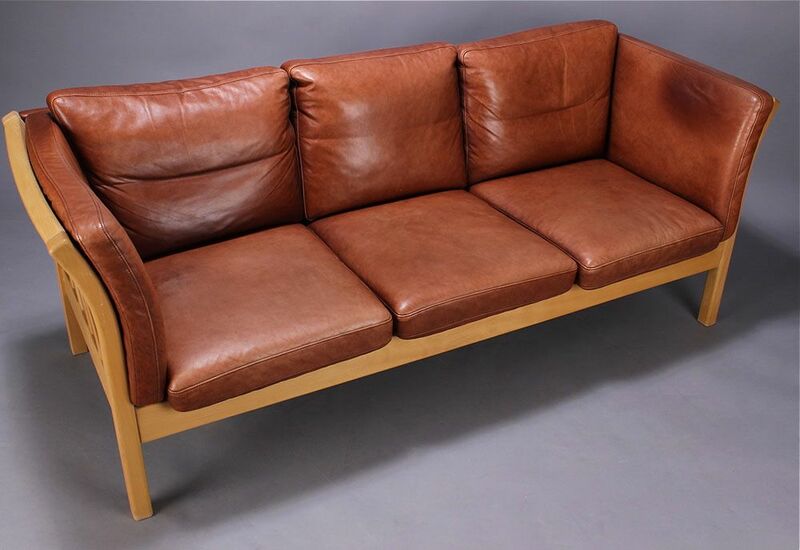 The suite has great style: elegant, modern and comfortable, the type you can slump down into or stretch out on with your feet up. They also look good from the back so could be used as a room divider. I would consider selling the sofas separately, best to call me on 07970 800786. 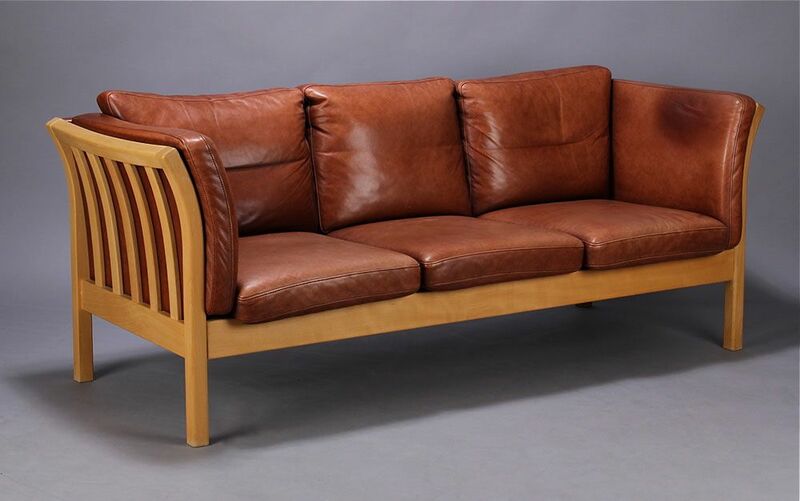 The measurements of the three seater sofa are 197 cm wide, 76 cm deep and 88 cm high. The height to the seat is 42 cm inches. 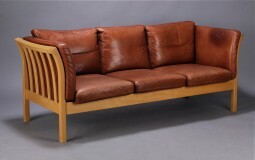 The two seater sofa is 145 cm wide.